They are contemporaries of fellow Celtic artists Enya and Clannad; however, Iona's works are also influenced heavily by jazz-fusion, prog-rock and ancient Christian themes. 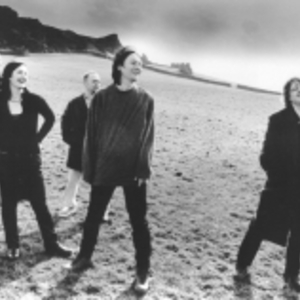 For Iona's 1990 debut album, the band added: drummer Terl Bryant, bassist Nick Beggs (former bassist of Kajagoogoo) and several studio musicians -- Fiona Davidson (Celtic harp), Peter Whitfield (strings), Troy Donockley (Uillean pipes) and Frank Van Essen (tuned percussion). The self-titled album received very little press, even in their home country, though a Dutch network compiled a documentary based on Iona, the band and the island. as well as those of the British Isles. David Fitzgerald left in 1992 to pursue a degree in music and, as a result, Iona lost much of its jazz influences by the following year's Beyond These Shores. The group made up for Fitzgerald's absence, however, by inviting Robert Fripp to guest on the album. Both albums also featured former Kajagoogoo bassist/stickist Nick Beggs. A contract with England's Alliance Music led to "Journey into the Morn"; the album was released in 1996 in the U.S. and Canada, and was listed among the top five folk albums in Q Magazine's Year End Review. "Heaven's Bright Sun", a live album, came the following year, then "Woven Cord" in 2000, and "Open Sky" in 2001. Their latest release, new to 2007, is called "The Circling Hour". There is also a German post-rock band who also go by the name "Iona".